There sure are a lot of pore-centered priming products out there nowadays. I have tried a few of these products and I must say they are more helpful for me skin wise than I expected. I’ve reviewed Maybelline Baby Skin and L’oreal Miracle Blur. I actually liked them both. 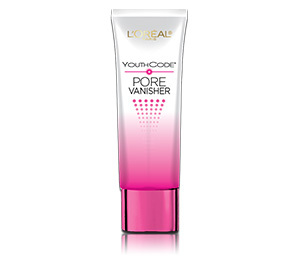 But along comes L’oreal Youth Code Pore Vanisher and it really worked well for me also. So confusing. But in a lot of ways these products are interchangeable. The differences that I noticed are very slight. I got a sample size (.5 oz) of Pore Vanisher for $6.99 at Walgreens. I really love that they are doing sample sizes. One of the things that I saw yesterday was a display of sample or trial size Pore Vanisher tubes right along side of L’oreal Miracle Blur samples. So check your local Walgreens for that if you’d like to try before you buy. I’ve seen Miracle Blur sample size tubes at CVS as well. Since the full size tube is over $20 at most stores I thought the trial size would be a great fit for review purposes. 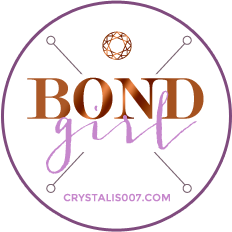 So to keep it simple some of the great things I noticed using this product were great imperfection blurring, decent pore filing, and a nice mattifying effect. I was able to use Pore Vanisher alone on my skin but I really liked using it under my foundation. I found that my pores were filled but what this really excelled at doing is MATTIFYING ME. I do wish it lasted longer though so I wouldn’t say that this is something people with oily or combo skin like me should run out and get. I guess the mattifying lasted around six hours before the oil started seeping through on my nose and forehead. It wasn’t really bad though. Just a slight touch up was needed. The covering of my larger cheek pores did last all day. No problems or shortcomings there at all. I can’t speak to the claims that Pore Vanisher will shrink your pores. I doubt that to be quite honest. Overall I think that this is a great product for people concerned with minimizing pores. It’s the best fit for me out of most of the products that I’ve used because minimizing pores and mattifying are what I really need. I loved the mix of both even though I wish the mattifying had lasted longer. And just in case your wondering which product I like best when it comes to pore minimizing and blurring…this is it! I think L’oreal Miracle Blur is a close second with Maybelline Baby Skin coming in at number three overall. I’m very curious about this! I have the Baby Skin and I like that, but I am oily in the T-Zone and live in Florida (really hot) so I need something that will keep me matte while I’m at work. This kept me matte longer than the Baby Skin I hope you can find the smaller size so you can test it out! Have you tried the L’Oreal Texture Perfecter Serum Concentrate? I’ve heard such good reviews on it!